Called the Mills Oakley Innovation Accelerator, the incubator will provide up to $500,000 to support innovation in the legal service space from ideation to commercialisation. 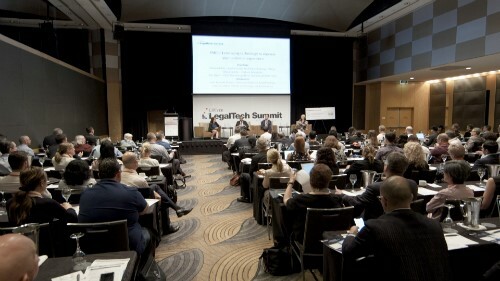 “New technologies and better processes are revolutionising the way law firms work. The best firms are actively seeking out innovations to deliver even better results for clients, which is why we are excited to announce the Innovation Accelerator,” said Mills Oakley chief John Nerurker. The national firm predicts more and more firms being involved with start-ups in the legal sector in the coming years. Mills Oakley plans to support start-ups that will boost innovation in the legal sector by giving the best kind of support to each vetted project and team. This means their approach to each team they incubate will be tailored and that the firm will only engage “incubees” as much as needed for them to thrive. “There is no ‘one size fits all’ approach to mentoring – less experienced incubees may require more supervision, while the opposite could apply to entrepreneurs who are already accustomed to operating their own business,” Nerurker told Australasian Lawyer. To ensure they give all-out support to the teams they will be mentoring, the law firm is partnering with Collective Campus, an innovation hub, school and consultancy that has delivered services to the likes of Sportsbet, National Australia Bank, Telstra, UBER, Zomato and Webjet. “We think this is certainly a trend we will see more of. While it is incumbent on all lawyers to be thinking about how the concept of client service will evolve in the future, the reality is that the demands of day to day practice will usually take priority,” Mills Oakley chief Nerurker told Australasian Lawyer. “So, if firms are serious about innovation they really need to look at bringing in external expertise and bringing in people who can devote all of their energy to developing new service initiatives,” he added. The launch of a start-up accelerator was a great fit for the firm, Nerurker noted. The firm chose the accelerator model ­– a scheme commonly used by large multinational companies or massive private equity firms focused on the technology industry – because of offered the most potential. “We chose the Accelerator model to better capture all of the trends which have the potential to transform the legal services market – such as automation, artificial intelligence and off-shoring among others – and have set in train a meritocratic process for selecting the best investment for our firm and our clients,” said the Mills Oakley top exec. “We found the conventional options such as investing directly in an existing venture or starting a spin-off operation were a little too narrow for what we wanted to achieve, which was to offer entrepreneurs a longer range and more flexible mechanism for contributing to innovation in the legal services market,” he added. Australian start-up teams and aspiring entrepreneurs can forward submissions for the Mills Oakley Innovation Accelerator until 14 October 2016 for review by Mills Oakley and Collective Campus. Shortlisted teams will be invited to a three-day workshop where their ideas will be refined before they will be pitching a panel of legal sector and start-up experts. Successful teams will be funded on a three-month accelerator program. Anyone is welcome to participate, the law firm said, if they have concepts for new technologies or business processes that will refine the way a law firm operates or delivers its services. Steve Glaveski, CEO and co-founder of Collective Campus, said that innovation has the potential to spur a massive disruption not only in the legal field in the coming decade. “Existing business model innovations and emerging technologies such as automation, artificial intelligence and blockchain promise to make the next decade one of great upheaval for many industries, not least legal services,” Glaveski said.